A little over a week ago, I had the opportunity to spend just one day in Istanbul during a day off from work. Click here to see Part One, which included the Arasta and Grand Bazaar. For Part Two today, I'll show you a small peek into the Galata District, known for its good shopping and charming side streets. Without a doubt, one of the many images that will forever remain in my brain when I think of Turkey are the rows and rows of gorgeous fruit stands. You find them everywhere you meander and they never disappoint. The colors are vivid, the displays well crafted... How can you not want a pomegranate after passing by these freshly cut beauties with their dark green leaves still intact? The Galata district is easily found by locating the Galata Tower. It's one of the oldest and most important towers in the world. Originally made of wood in the year 507, this tower has had various lives over the centuries including as a dungeon and fire station. Today it is a tourist attraction with food, drink and shows for your entertainment. I like walking on the side streets that surround the tower, known as the Soho of Istanbul. 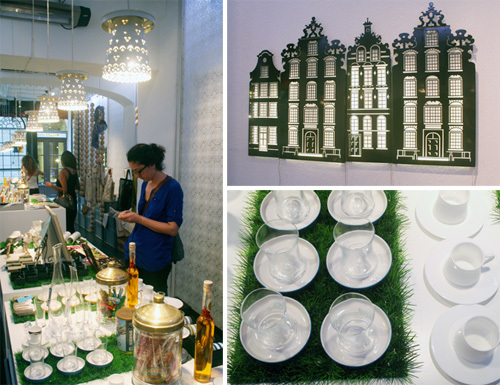 It is where you'll find emerging Turkish designers and a bevy of unique boutiques. One of my favorite shops (and I admit, we had a little less than two hours to explore this district) was Lomography. Now this shop is a global shop, found in many parts of the world but it was my first experience. I was intantly smitten when I saw their clever, stylish cameras, all thoughtfully displayed. 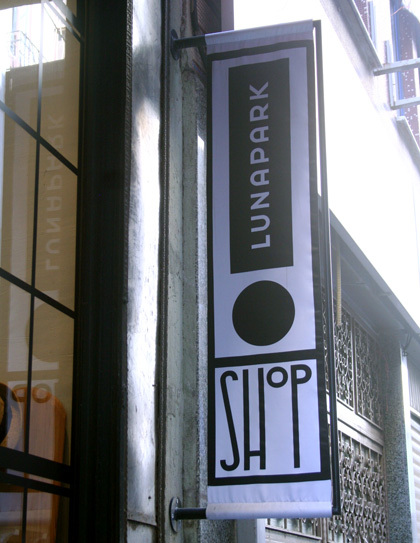 Just a few steps down from Lomography, you'll find Luna Park, a shop that specializes in Turkish designs and products. I loved how stylish this little alcove of a shop was, with every square foot of space having a purpose and a plan. You'll find many home decor items here including Turkish teacups, food jars and lighting fixtures. We had less than 8 hours to spend in Istanbul so we saw very little time but enough to want to come back for more. Particularly to try more of the restaurants. We popped into three throughout the day, either for coffee, a cocktail or a quick bite and each time, the cafe we found ourselves in was modern, stylish and hip- a mash of culture and vibrancy. One of my favorites was The House Cafe on Istiklal Avenue. My friend Diana and I tried the Martini Bianco and were pleasantly surprised to have such a colorful, delicious cocktail for the afternoon. I was so happy, I just kept staring at it...and would of kept buying them if they weren't so spendy. But overall, it was a perfect ending to a perfect day.